This opening weekend consists of 2 days of face-to face, intensive teaching, workshops and discussions in which you are introduced to whichever of the four types of screenwriting you are studying. During these 2 days you are able to form a community with the tutor and fellow students who are sharing your learning journey. The rest of the teaching, tutorials and feedback will take place at your own home via live, interactive virtual classrooms on a Tuesday or Wednesday evening between 19.30-21.30. Towards the end of each course there is a second face-to-face teaching day in Stratford Upon Avon, which is known as ‘Feedback Saturday’. However, attendance in Stratford for this day is optional and you can attend remotely via our virtual classroom tools. ***For students unable to travel to Stratford Upon Avon we offer flexible, online, bespoke one to one versions of our courses that allow students to study entirely from home, at any time of year and at their own pace. William Shakespeare’s birthplace straddles the River Avon as it slides south west and a large canal basin adds to the watery feel. It was the eighteenth-century actor David Garrick who staged the first major ‘Shakespeare Jubilee’ here (inadvertently causing the destruction of the playwright’s fine house at New Place, razed to the ground by an owner enraged by nosy Bardophiles). William Shakespeare – Perhaps the greatest script writer who ever lived? The Royal Shakespeare Theatre originally opened in 1879 and with its two sister theatres – The Swan and The Other Place – is the lifeblood of the town. The Shakespeare Birthplace Trust oversees five properties associated with the playwright, including a garden and museum at New Place. Stratford also happens to be a lovely town, with some glorious buildings, fine circular walks and some jolly good pubs. There are coach links and a railway station. Trains from London Marylebone with Chiltern Railways (chilternrailways.co.uk) take two hours, less if you change at Leamington Spa. It’s 40 minutes from Birmingham Moor Street/Snow Hill with London Midland (londonmidland.com). National Express Coaches (nationalexpress.com) connect with cities such as London, Coventry and Bristol. Using Stratford as a base, you can enjoy the delights not only of Shakespeare’s hometown, but also the nearby surrounding shire counties of Oxfordshire, Worcestershire and Gloucestershire. Enjoy Blenheim Palace and the Cotswolds to the south, Worcester and the Malverns to the west, Warwick Castle, Kenilworth Castle and Henley in Arden to the north, and all within an hour’s journey of Stratford itself. ScreenWrite classes take place at Elizabeth Court on Church Street in the centre of Stratford-Upon-Avon. The venue is on the main street of the town centre amidst the hotels, restaurants and shops of this bustling market town. The RSC is a 3 minute walk away as is Shakespeare’s Birthplace. There is a kitchen and a lounge area and tea and coffee will be provided. The railway station is a 7 minute walk and there is a car park directly opposite the venue. Teaching materials will include PowerPoint presentations, class discussions, DVD and video clips. You will also receive original material and samples as digital hand-outs, including storylines and episode extracts. During the course students will be expected to watch film and television drama and be prepared to discuss what they have watched in class. 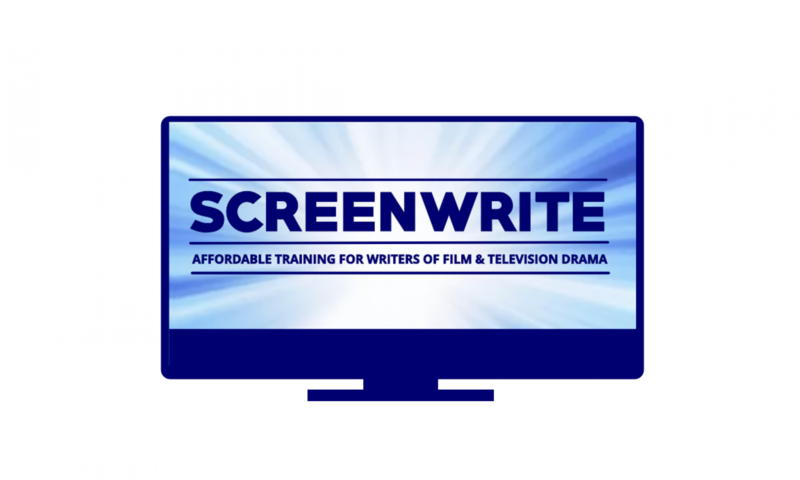 During all ScreenWrite courses students are expected to write a script. This will involve completing work between classes but ‘writing weeks’ that are free of classes, have been built into the course at the times when most writing effort is required. Week by week students will produce work which will be discussed in an open and constructive environment with the tutor and other students. The opening weekend of face to face classes in Stratford-Upon-Avon allows the students from each class to get to know the tutor and each other. The rest of the course will be delivered through our ‘Virtual Classrooms’. Unlike some online courses where students must study entirely alone, our Virtual Classroom brings all of us together at the same time each week just like in a real class. We can all see and hear each other during the online classes and we can all see the teaching materials. Anyone of us can ask questions and we can all discuss the topic being taught. Thus the community of fellow students sharing the journey is maintained and the learning experience enhanced. All the course documents and lessons are stored on the Virtual Classroom portal and are available to students 24/7. And if you really cannot attend a particular class at the time or want to refer back to a particular class, a video recording of all the classes will also be available on the course portal. The system also allows for unlimited 1-2-1 tutorials where you can discuss your work privately with the tutor. All this without the inconvenience and costs of travelling to classes every week!